Except for DVD/CD ROM, laptop battery is the accessory which is easy to be damaged. For this reason, many users have experienced that the laptop is good while the battery is indicated to be injured. Here, I’ll give you some explanations about it. 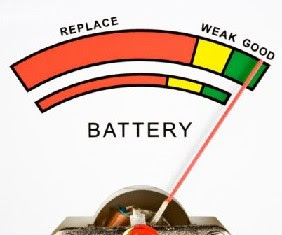 After a long time use, laptop battery cannot be fully charged anymore, which is a symptom of the aging battery cells. If indicated capacity is always below 90%, the battery must be damaged although it has been charged for a long time. From then on, the loss rate of the battery will be faster until it is illustrated to be dead. Therefore, laptop maintenance and restoration is one of most popular topics by users. With the right methods, the battery life may be doubled. Compared to a normal battery, no matter a dell laptop battery or an ibm thinkpad battery, it is really a amazing increase. The pre-process, which is called activation, reflects the process of bringing the dying back to life vividly. The basic principle of the battery is to lessen the current output when charging and discharging. Besides, to reduce the recharging circles as much as possible is also important. As is known to all, battery life is limited. It is impossible for laptop batteries to be prevented from aging. It embodies in the battery that the internal resistance is enlarged. When charging, voltage across will climb more rapidly. Thus it will be judged to be fully charged in a short time by charging control circuit. Meanwhile, the output voltage decreases rapidly. The aging of the laptop battery is a vicious circle. If you find that the standby time is shorter than usual, you should get it revised instead of checking all over the battery.